Howard S. Friedman is a founding partner of Fischler & Friedman, P.A. He is a graduate of the University of Florida, where he received his Bachelor's Degree in Finance in 1983. Mr. Friedman subsequently graduated from Nova Southeastern University School of Law and was admitted to the Florida Bar in 1986. He started his practice as an associate at the law firm of Weinstein, Zimmerman & Handin where he gained valuable experience in the areas of criminal and family law. During this time, Mr. Friedman also honed his skills as a litigator, participating in both jury and non-jury trials. In 1991, he combined his practice with experienced business law attorney, Michael Fischler and formed Fischler & Friedman, P.A in 1992. Currently, at Fischler & Friedman, Mr. Friedman focuses his practice primarily on divorce and family law litigation. His experience in the areas of divorce and family law allows both Mr. Friedman, and his firm, to expertly advise his clients throughout the course of their divorce or family law matter, including the preparation of pre-marital and post-marital agreements. Utilizing his training in finance, Mr. Friedman focuses his practice on complex litigation, marital estate valuations, equitable distribution of assets and liabilities, and post-divorce enforcement and modification proceedings. As a veteran divorce attorney and a highly experienced litigator, Mr. Friedman has a reputation of aggressively pursuing the best interest of his clients and their families. His reputation has allowed him to consistently obtain beneficial and amicable resolutions for his clients. Throughout his over twenty-eight years of practice, Mr. Friedman has assisted hundreds of clients navigate the challenging process associated with divorce and family law. His clients have included doctors, lawyers, police officers, accountants and a variety of business owners and entrepreneurs. A long-time Broward County resident, Howard contributes to the community in which he lives. He is a member of the Broward County Bar Association and B'nai B'rith Justice Unit #4201. Mr. Friedman also served as the Legal Coordinator for Women in Distress of Broward County. Mr. Friedman has earned an AV Preeminent® Peer Review Rating by Martindale-Hubbell, the organization's highest possible rating. In nearly thirty years of practice, his clients, colleagues and peers have grown to respect his knowledge and expertise in family law, along with his experience in the courtroom and in the mediation and negotiation processes. 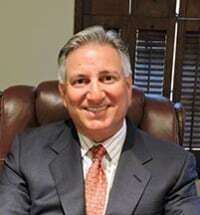 Mr. Friedman is a past member of the Florida Bar's Grievance Committee. He has also been an invited speaker at various conferences, sharing his expertise with other family law practitioners.